Interested and qualified candidates should send a Cover Letter & Resume to: All-On-Communications@all-on.com Subject of mail: All On – Application for Policy & Partnerships Associate Click Here for More Information (PDF). Application Deadline 31st August, 2018. The applicants must possess a HND/BSC in relevant courses of study with years of experience in sales. The applicant must be conversant with the territory you are applying for, as there is no plan for relocation. Interested and qualified candidates should send their Applications and CVs to: kizparex.confectioneries@gmail.com Application Deadline 23rd August, 2018. Applicants should send their CVs to: applications@etazuma.com with the position as the subject of the mail. Interested and qualified candidates should send their Applications to: jobs@dreamlabs.com.ng with the job that you are applying for as the subject of the email. Application Deadline 14th September, 2018. Commenced her ICAN certification process if not chartered yet. 4 – 5 years’ relevant experience. Experience in same Industry is added advantage. B.Sc/HND in secretarial studies or any related discipline. Post-degree and other related professional certifications/ training will be an added advantage. Possess excellent interpersonal and communication (oral & written) skills. Be proficient in English, Hausa/Yoruba language. Possess the ability to assess situations and initiate solutions independently. Be proficient in the use of Microsoft Office Application. Candidate must have a minimum of 10 years of verifiable experience in delivering mobile/digital solutions and campaigns for brands with a strong focus on the FMCG sector. The ideal candidate must have functioned as a business leader in a highly competitive environment. Outstanding project management skills with proven experience managing end-to-end projects including managing budget, timelines/milestones, multiple partners and deliverables. A masters degree such as an MBA is an added advantage. Interested and qualified candidates should send their Curriculum Vitae (CV) to: jobs@rprafric.com The subject of the email should be the position applied for. Application Deadline 31st August, 2018. B. Ed./B. Sc. (Ed.)/B. A., B. Sc. 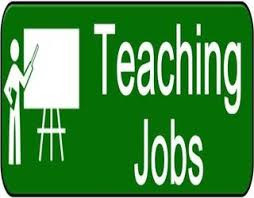 PGDE in Social Sciences (Political Science, Government/Social Studies, Social Studies/CRS, etc). Previous sales experience and an organised approach to work. A track record of managing client relationships. Degree in any Computer Science other related courses. Demonstrated success in achieving targets. Strong knowledge of IT, with a background in computer science from a reputable institution. B.Sc/HND Business Administration, Industrial Relations and Personnel Management, Psychology, Law, Sociology or any of the Social Science discipline with a minimum of Second Class lower/ Lower Credit. Is this your profile below? 400-level Mechanical or Electrical/Electronics Engineering student. CGPA of 3.5 or higher (or its equivalent). Applicamts should use the position, Graduate Trainee to apply for this job by sending their updated CVs to: careers@tamroseventures.com Note: Only short-listed applicants will be contacted.